The Waldsee BioHaus in Bemidji, Minn. meets the definition of a passive house. Built with ICFs and utilizing a ground source heat pump, it is the first building in the U.S. to meet Germany’s strict PassivHaus standards, using only 15% or the energy traditional buildings consume. 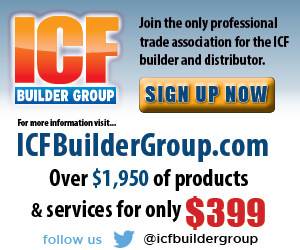 ICFs are a great start towards sustainability. They’re durable, disaster-resistant, use local materials, and are easily recycled. Additionally, they’re incredibly energy efficient and readily available. To be truly sustainable, though, ICF construction should be coupled with other green technologies, like spray foam, high-efficiency windows, and ground source heat pumps to maximize their benefit. 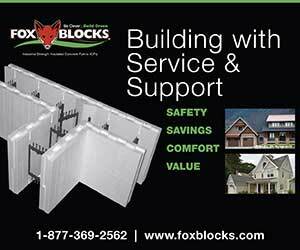 Luckily, these technologies are readily available and easily integrated with ICFs. Here are several practical new technologies for conserving energy. Below is a chart comparing the energy requirements for several types of homes in Germany. It illustrates the relative relationship of the energy requirements for a passive house compared to that of a conventional house. Admittedly, there is no easy way to directly compare energy savings in a typical German house with that of one in North America because the materials used in construction are so very different. However, the chart does provide numbers in terms of annual energy usage per square unit of floor. 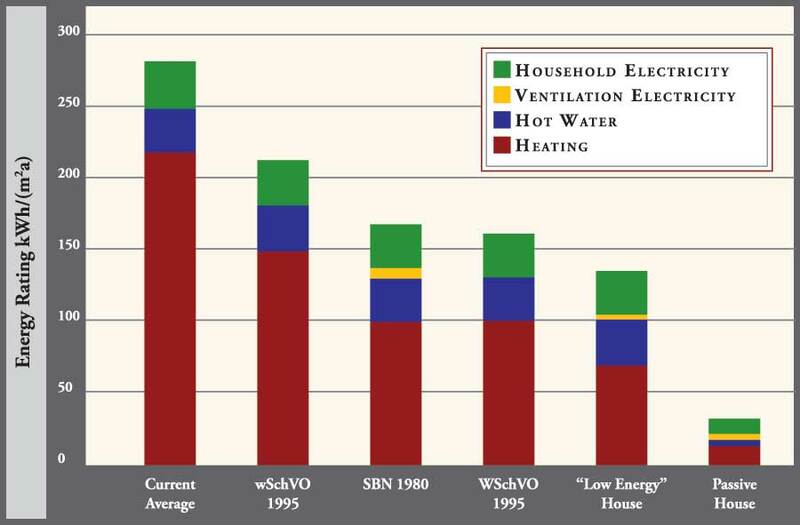 This chart indicates that a “Low Energy House” should use about 50% of that of a conventional house. The latter figure appears to be consistent with statistics comparing conventional wood-frame homes in North American to those made with ICF walls and wood-frame roofs. If this ratio is true, then it would appear that the HVAC system might need to be less than half as large as that required for a conventional house as well as being less expensive for a smaller unit. Likewise a passive house is supposed to operate on about 13% of the energy requirement of a conventional German house. 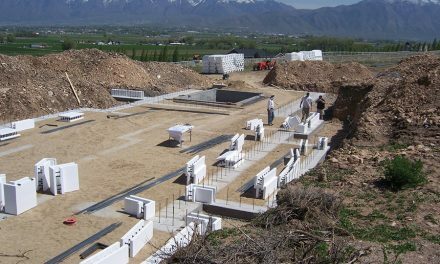 With ICF technology at the level it is currently, ICF passive homes are attainable. The author believes that they are much more readily achievable than super-insulated wood frame houses. 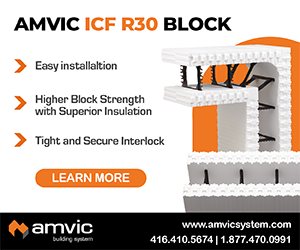 Conventional ICF construction—two layers of at least two inches of EPS with four inches of reinforced concrete—present a very high barrier to the loss of energy. 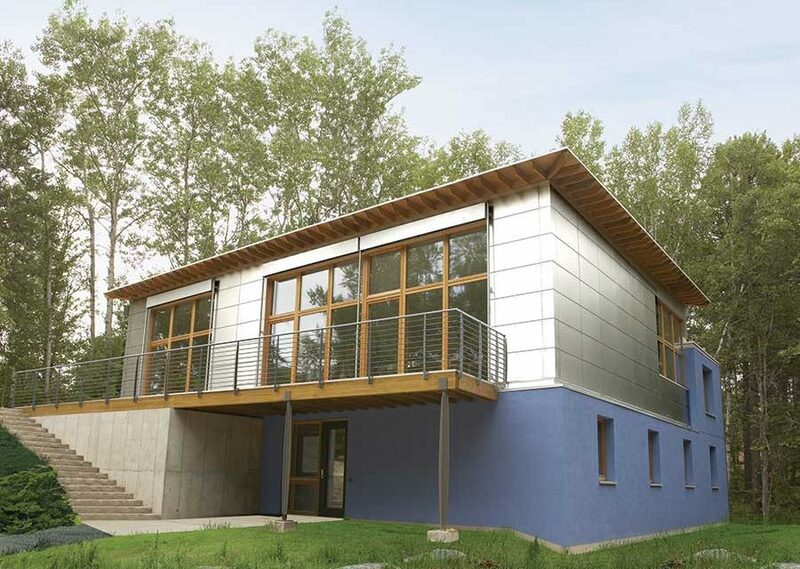 By increasing the thickness of the EPS, the construction of a “passive energy” or “zero energy” house is quite feasible. Visit a few websites, such as www.ecolab.com and www.passiv.de, to get a better idea of what constitutes a passive house. In addition to increasing the foam thickness on the ICF’s themselves, the insulation of the roof assembly also presents opportunities for energy savings. EPS roof decks, topped with concrete, are a perfect complement for ICF construction because they offer the same durability, disaster resistance, and energy savings as the walls. Lightweight alternatives, such as Structurally Insulated Panels (SIPs) are another option which are much stronger and insulative than conventional construction. (See SIPs and ICFs in the April ’08 issue for more on SIPs). A six-inch thick SIP roof provides an R-Value of 29.5, compared to R-19 for the same thickness of fiberglass batt. A final alternative is spray urethane foam, which is less expensive than SIPs, but still offers outstanding R-Values (R-7 per inch), airtightness, and adds some structural strength by tying the roof deck to the rafters or trusses. The website www.primalconsulting.com has an excellent discussion of the new technology, supplemented with two well-written articles oriented to the lay reader. Insulated doors and effective weather stripping materials are commonly available and usually installed as a matter of course– so they are not a problem. The author believes that with the new window glass technology and the use of a total concrete shell constructed with ICF forms, it is feasible to build a passive house or at least a house with significantly low energy demand. The question is how much extra it would cost to do this. If a comparison could be made of the heating system cost and the energy demand, and this figure was compared to the cost of additional insulation and the new glass, a optimum cost equilibrium would likely occur at some point between the Low Energy House and the Passive House. At this stage, it appears the comparison would be more than subjective until energy-related calculations and tests are performed. A study is being planned which will consider the energy saving benefits of the new glass in lieu of conventional thermopane as a factor in current conventional ICF houses. In the case of ICF houses which will have sustainability far in excess of wood frame buildings, the real savings will be in heating bills over a much longer building life. 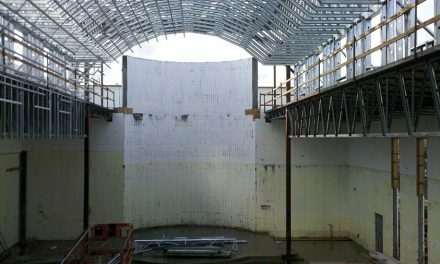 This technology, originally developed in North America, involves removing the heat from a building in the warm months and storing it underground until colder weather arrives, at which time it is removed from the ground and pumped back into the building. 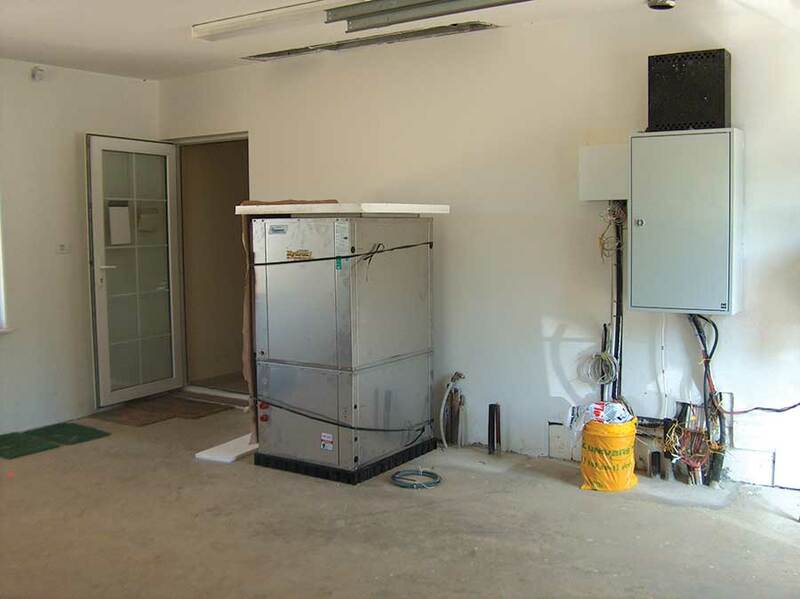 The mechanism for doing this is called a Ground Source Heat Pump” (GSHP). Many times, GSHPs are described as geothermal heating. In the author’s opinion, the term has been used indiscriminately, applied to too many applications, and is misleading. So the term GSHP is referred to here. An alternate term that is used is Geothermal Heat Pump (GHP). A veritable encyclopedia of information about GSHP technology is available on the internet. An International GSHP Association is located in Europe and another at the University of Oklahoma at Stillwater, which was established in 1987. Open Loop vs. Closed Loop: Open loop systems use water in a reservoir (pond, well, lake) as the heat transfer fluid. The water is usually pulled from the bottom of the reservoir and discharged at a different location for efficiency. 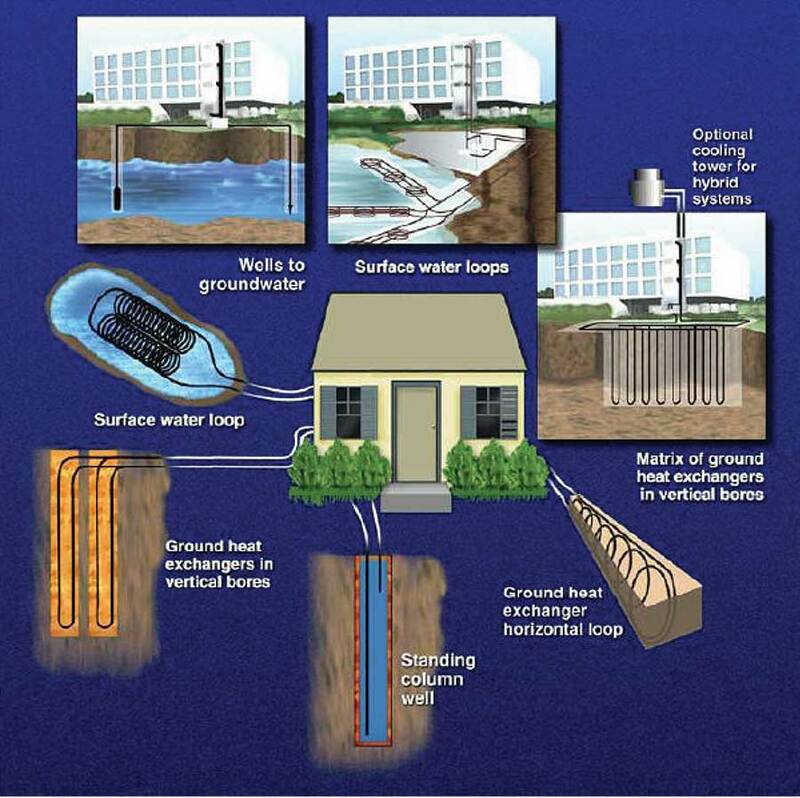 Closed loop systems keep the fluid used for heat transfer within the system piping, and can include propylene glycol or other antifreeze chemicals to ensure proper function..
Vertical Wells vs. Horizontal Pipes: Vertical systems use two long pieces of pipe with a “U” at the bottom in a hole bored in the ground. Horizontal systems are installed in trenches. Sometime two or more pipes are spaced vertically in the same trench to increase heat transfer per foot of trench. Some horizontal systems use coiled pipe to increase the heat transfer per foot of trench. SLINKY was developed by the International GSHP Association and the SVEC spiral was developed by the National Research Council of Canada. Numerous other variations exist. According to the Wikipedia site, about 50,000 GSHP installations are made in the USA each year. The same site also suggests that savings in annual energy costs for a typical home might be between 30% to 70%. The author assumes a “typical home,” refers to the standard wood-frame house insulated according to conventional building code requirements. 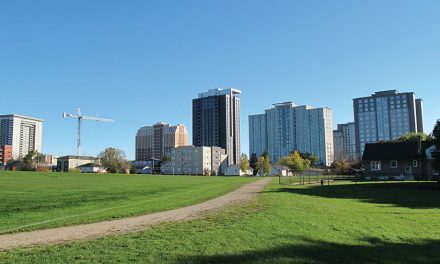 While discussion in this article is oriented primarily to individual dwelling units, an examination of the available literature also shows that GSHPs have been used for the interior environmental needs of apartments as well as commercial and institutional buildings. When these buildings are constructed using ICFs, the possibility is available for achieving very important long-term energy savings when the environmental systems utilize GSHP technology. So it appears that the energy-savings goals for individual homes are being realized at an important tempo with very practical and proven technology.